This tutorial is for adding the button in navigation. If you want a button in a menu navigation of your site and also want to give styling like background color, hover color, border etc to your button. Just follow the tutorial, you can do this by adding some simple custom CSS to it. 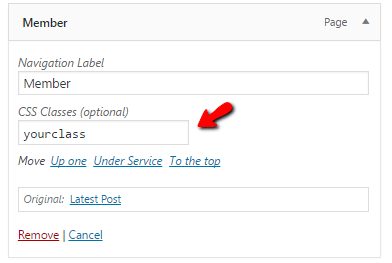 Adding a class id for your page just select the CSS class option in menu structure item and save it. This will add a button to your site and you can also add a link to it. Here are some examples for designing the button using Custom CSS.